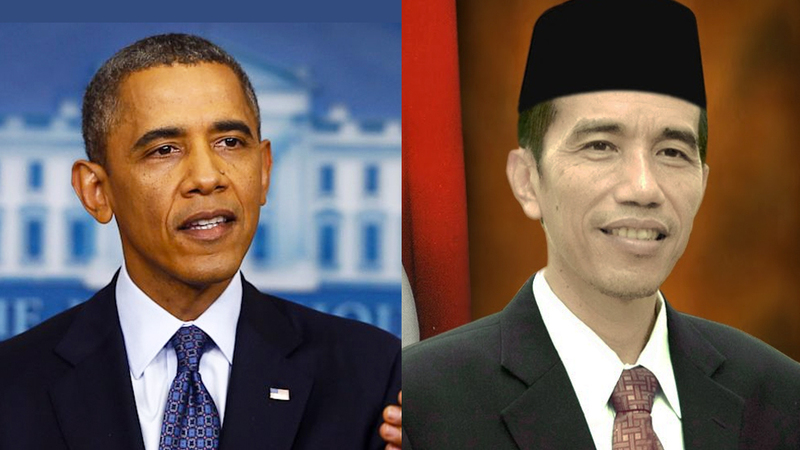 WASHINGTON, DC — US President Barack Obama today expressed his excitement to officially begin his second job as the President of the Republic of Indonesia on October 20th, after months successfully campaigning across the Southeast Asian country using the more localised pseudonym of ‘Joko Widodo’, and keeping it secret from his family. Accompanied by his wife and speaking from the White House lawn to reporters this morning, President Obama said that he was really glad to be finally able to come clean about his additional occupation, and said he ‘feels no shame about holding two jobs’ to supplement his income. “A lot of people do part-time jobs or even hold two jobs to support their families, so I don’t see why I can’t do the same,” said the Commander-in-Chief. “Times are getting harder for everyone, what with rising cost of living and staggering inflation these days, a typical wage-earner like myself cannot just depend on income from one source. One salary just ain’t enough, it’s just reality of living in an urban area. “A recent survey has found that Washington, DC is THE most expensive city to live in. Not just in America, mind you, but the most expensive in the world. And I’ve got two growing up kids. A big house to pay for every month, with its own staff to maintain. A few cars with drivers and security detail, and not to mention a plane, plus a couple of helicopters. 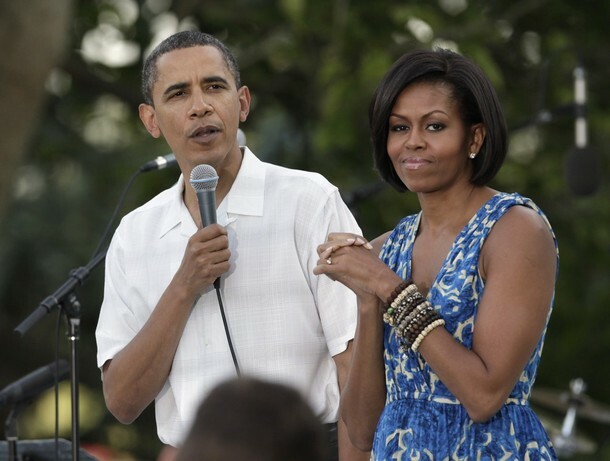 For a government servant like me, it can be pretty tough,” he added, as First Lady Michelle put her hand on his shoulder. Obama’s second job will see him succeeding Susilo Bambang Yudhoyono after defeating Prabowo Subianto at the polls in a tight race, receiving 53% of the votes. “Campaigning across Indonesia was quite a challenge,” recalled Obama, who in fact spent a few years during childhood growing up in Indonesia. “I had to dig deep into my childhood memories running around my auntie’s place in east Jakarta. All those great times picking mangosteens, jumping into streams, fishing. Fortunately I still remember some Bahasa phrases like ‘Aku Cinta Kamu’ and ‘Trima Kasih.’ I had to connect with the voters; be one of them. I had to sneak out of meetings to make video calls, record speeches. I had to fake business trips to that region so that no one could smell what I was doing. And I had to do this while not getting recognised by my team — and my wife!” adding that traditional headgears and batik, as well as a different hairdo and makeup definitely helped. The president said that despite the demands of the jobs, he believes he would be able to split his time between the two nations. “Both government systems are pretty well-oiled, so I don’t see any problem presiding over both administrations,” he said confidently. “In fact, I’m an advocate for flexible working arrangements, and I’ve invested quite heavily in getting myself wired in. The Oval Office is really just a symbol of my US presidency, but the fact of the matter is, with mobile technology, social media tools and cloud computing, I can work from virtually anywhere. 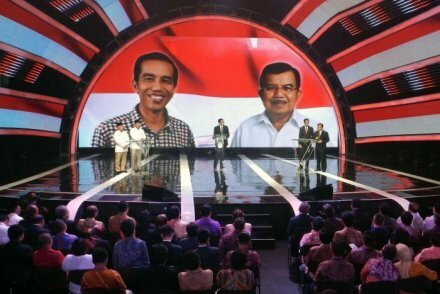 Hey there, Big J!” said Obama as he demonstrated Skyping with his future (Indonesian) vice-president Jusuf Kalla all the way in Jakarta. “The really good thing about being the leader of these two nations is that they’re on opposite sides of the world,” said Obama. “So I can focus on one country while the other goes to sleep. Pretty convenient, really, there’s little chance of me being confused about which government I’m representing at any one time. “I’d hate to be in an awkward situation where I’m meeting, say, President Putin, and start talking about sustained development in Jawa Tengah when I should be reprimanding him about Russia’s escalating military presence in Ukraine!” he said in jest, much to the delight of those present. The president assured the public in both nations that he would be very careful in utilising the resources given to him as head of government. Michelle Obama added that while she was initially surprised by her husband’s decision to take on the second job, she’s fully supportive and would ensure he gets all the help he can from the rest of the family. “I know he’s doing it for me and the kids. He’s not the type who takes on more things unless he really believes it’d be good for the family,” she said. “We’ve worked out some tight time management with everyone, so that we can spend as much quality time together as possible. I’m not too concerned. I mean, I’m more than capable to doing some of the errands he usually does like picking up the kids from soccer practice and all. Plus, he’s always got his iPad on him, so he’ll always be on top of things at work. No biggie.